Mr. Rolando Gonzalez Perez workds as a bicycle-repair man. 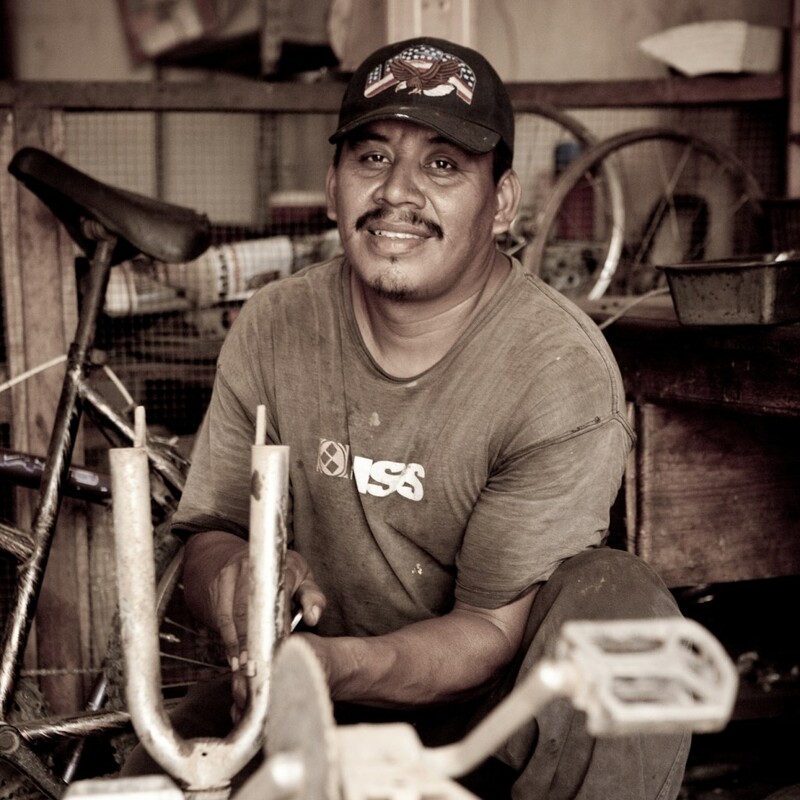 A US $50.00 loan enabled Mr. Gonzalez to start his own bicycle-repair shop. Mr. Gonzalez had worked as a mechanic in the past and has always wanted to have his own shop. He purchased a few basic tools, made a small covered room next to his house, and began to rebuild and repair bicycles. He bought used bikes which he repaired and resold. He did this for two and a half years. He later branched out to build doors and windows make of raw iron. Today, Mr. Perez has a small shop in the neighboring city of Gualan, where he makes doors and windows to order, and still repairs and sell bicycles. 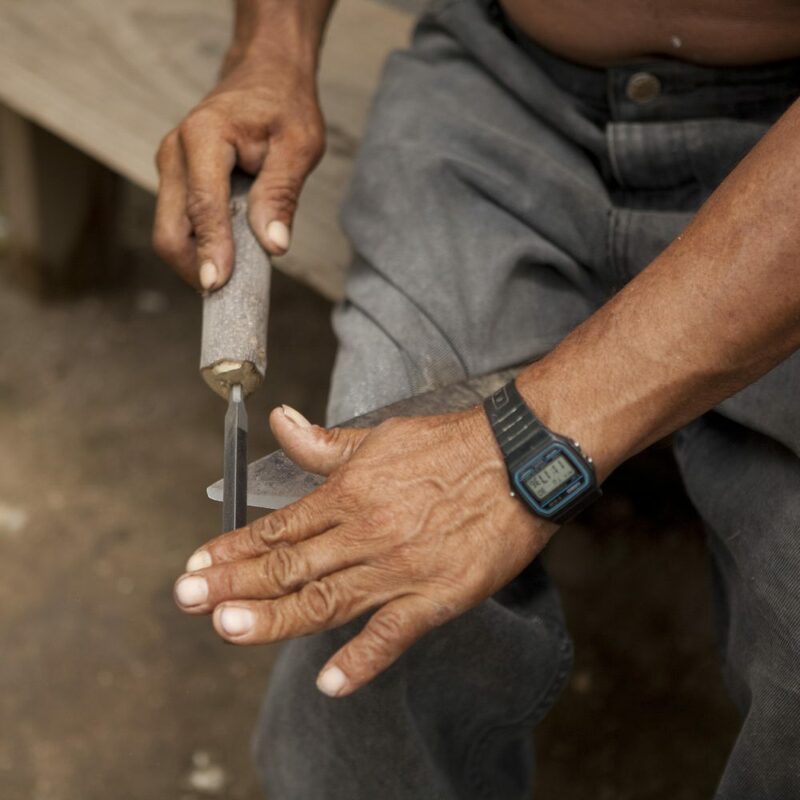 Mrs. Petrona Arias and her husband Domingo are artisans of Mayan origin. 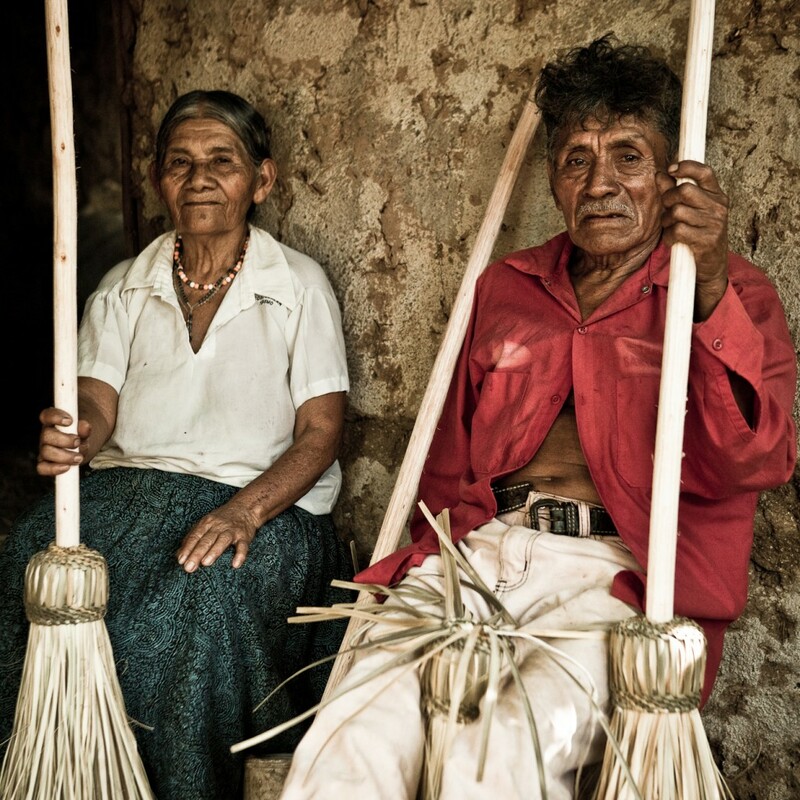 Both are over 80 years old and work together making straw brooms. Domingo gathers the palm leaves and the branches from which he makes the sticks that hold the brooms. Petrona weaves the brooms and sells them in the market. Petrona has branched out and is working with her daughter with whom has opened a local store that sells food, drinks, etc. She has made nine loans, all of which she has paid on time. Mrs. Rosa Elvira Vega is one of the original members of El Triunfo. 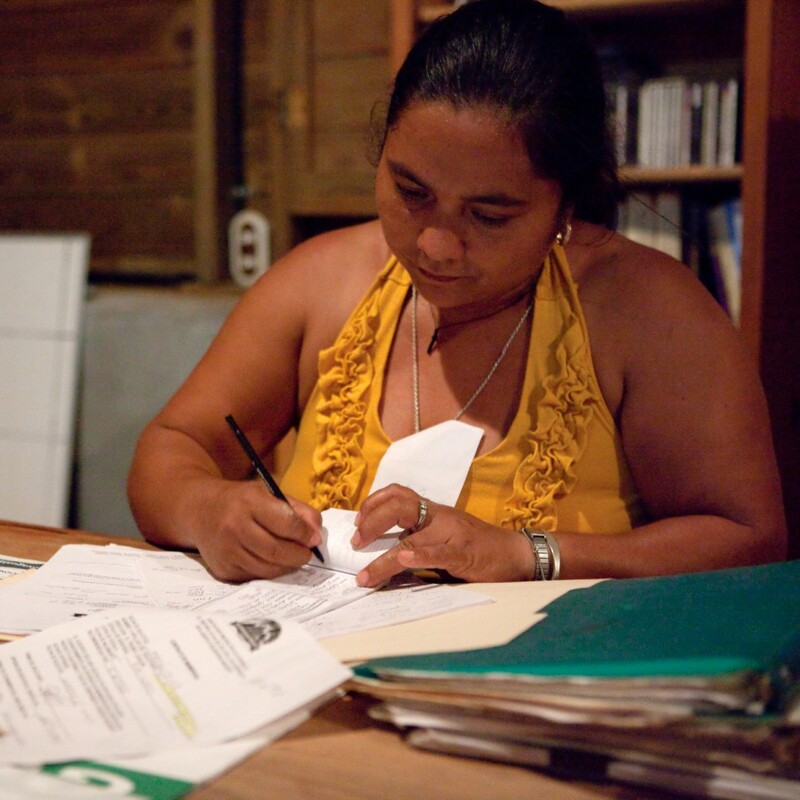 From the start she was involved with the women’s committee that began the microloan program. With little reading and writing skills, Mrs. Vega began learning more and more the workings of the Asociacion Proyecto Guatemala. Today, she is the President of the Asociacion Proyecto Guatemala and handles all the legal matters. As the legal representative of the Asociacion, Mrs. Vega, who now reads and writes quite well, speaks in front of large groups and argues for the needs of the community. She is also the President of the Education Committee of the El Triunfo school. Jorge is one of El Triunfo’s shining stars, he has made a large impact in the community through forming and coaching children’s soccer teams, collecting soap for those in need, and bringing the community together for special events such as Father’s Day. Growing up in a family of four, without a father, Jorge has taken it upon himself to completely support his family financially by packing bread at a local bakery. Jorge is a diligent young man who fell in love with computers the instant he tried one in the office of the Asociacion Proyecto Guatemala. Once he learned to use the internet, there was nothing to stop him. He wanted to have a computer, so he made a loan to purchase one. He learned to analyze music and he is sought out to play at meetings, parties, and other events. His dream is to become a radio and TV announcer for which he is applying to the San Carlos Univervisty. 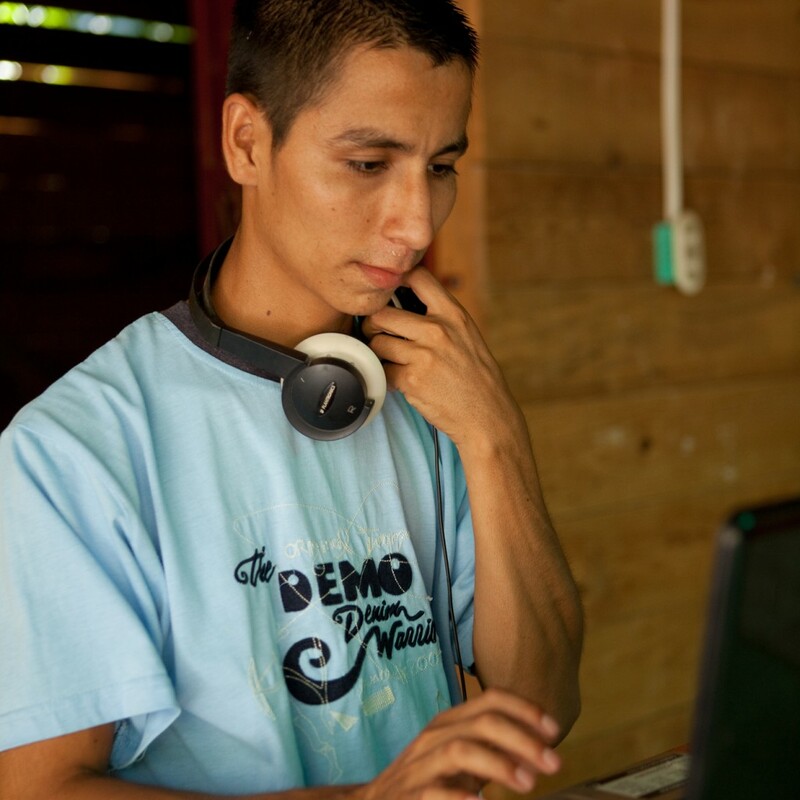 Today, through the Cielo Program, he is attending college to become a radio host. Franisco Sanches and his wife have eight children. He was a laborer at a nearby farm. Ever since 2007 he started to cultivate one block of land on his own. With a loan from the Asociacion Proyecto Guatemala, Mr. Sanches was able to harvest the corn and sell 80% of it. He repaid the loan. He now cultivates ten blocks of land and employs four men to assist him in the harvesting of the corn.